I have some GREAT news to share amidst all this chaos though. Last Tuesday, before I contracted the flu of the century, I did a radio interview with Rebecca at Adoption Perspectives called Why Grandma and Grandpa’s parenting techniques Don’t Work with Adopted Kids! It was prerecorded, but won’t be edited. Yikes. In the interview we discuss adoption, children who have attachment issues, how raising a hurting child looks different than raising a child whose experienced love from the beginning, and why time-in is better than time-out. You might enjoy hearing her perspective and experiences she’s had with her children whom she adopted as infants. The show will air on April 5, 2014, you can listen live in the Denver area on April 5th @ 11:00am on 670 KLTT AM. Adoption Perspectives is supported by Parker Adventist Hospital. 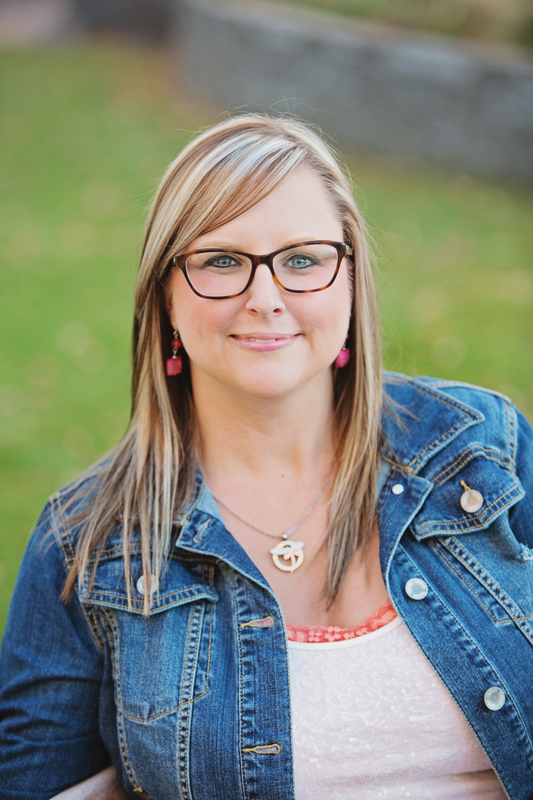 “Parker Adventist Hospital is the only hospital in the nation with a comprehensive adoption program.” ~ Rebecca Vahle – You can also find the Adoption Perspectives Radio Show on Facebook by clicking here. I was honored to be invited to speak on the radio show which showcases so many great voices in the adoption support arena. 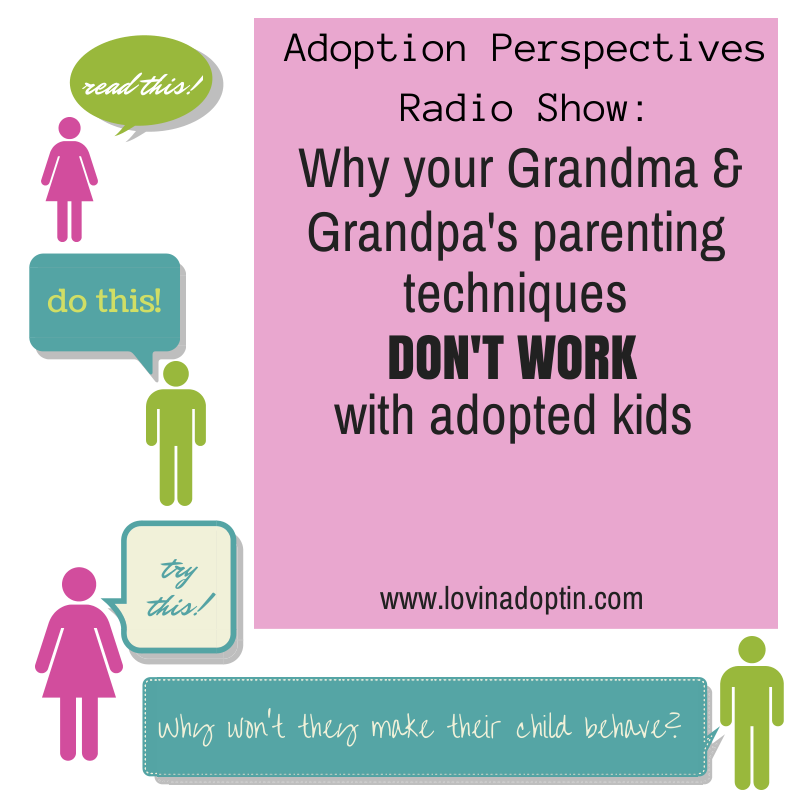 *You can now listen to the recording on YouTube: Adoption Perspectives Radio Show. You can receive every post made to Lovin’ Adoptin’ by subscribing in the upper right corner. You can also follow me on Facebook and Twitter to receive more helpful information and links pertaining to both adoption and Autism. Please feel free to share with anyone who might be interested. 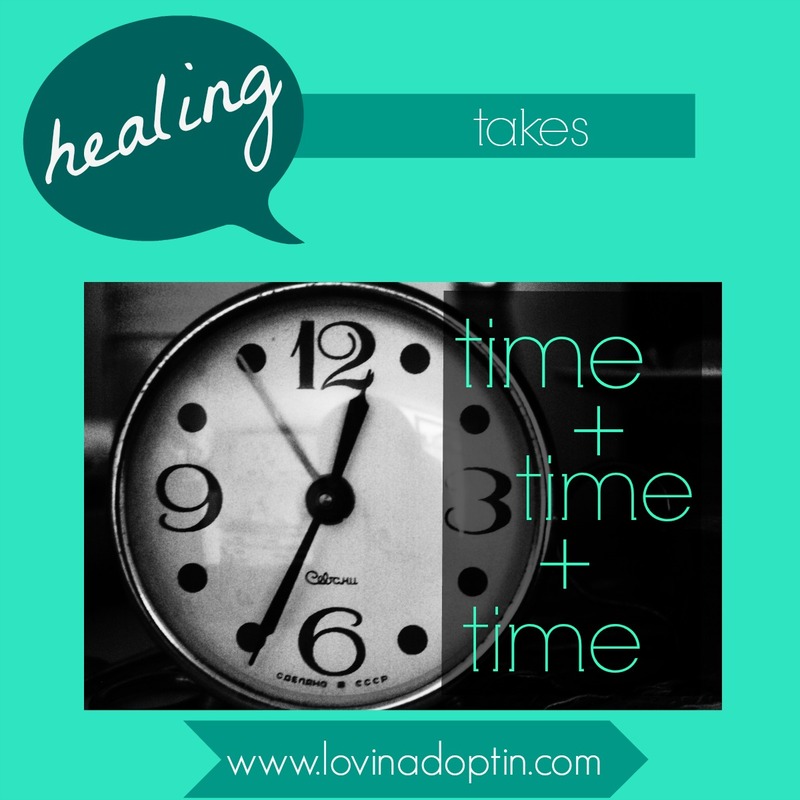 why time-in is better than time-out for a hurting child. 1. Sending a hurting child to their room causes them to feel fear. By placing our children in time-out we are sending (unintentionally or not) them back to that fearful place. By keeping them close in a time-in, they don’t feel alone and a need to fight for their safety. Or at least with consistency, they will learn they don’t need to fight, flee, or freeze. 2. Hurting children don’t have the ability to self-regulate. Hurting children are unable to regulate their emotions, and they need our help. Dr. Bruce Perry says, “When infants and children are incapable of meeting their own needs, they depend upon the external regulation that comes from attentive, caring adults.” When a hurting child is sent away from us to a time-out they are not regulated, and this will send them backwards, healing won’t be taking place. 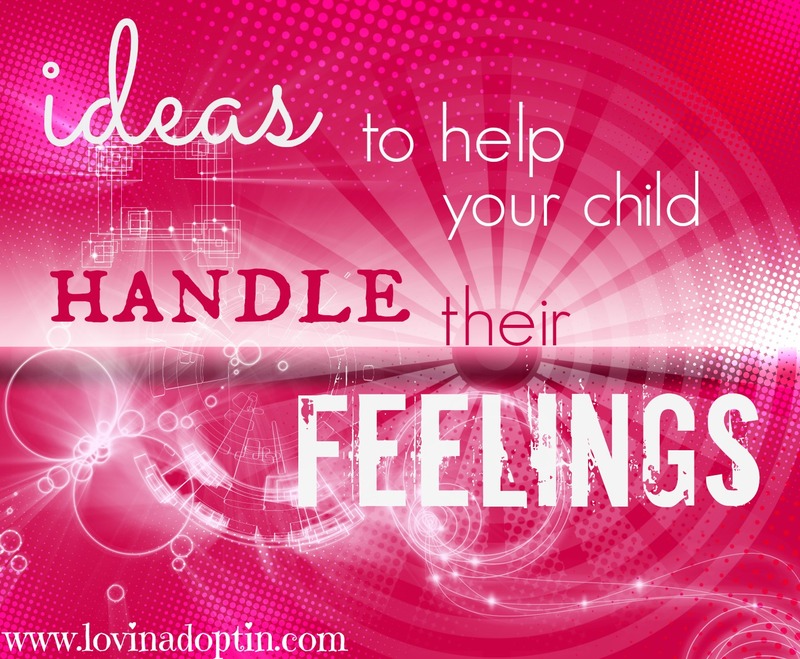 By keeping them close in a time-in we are able to help them regulate their emotions. Or, if they are dysregulated, we can be near them so they can learn we won’t abandon them. 3. Being alone doesn’t heal. Was your daughter in an orphanage before she came to you? Was your son neglected before you brought him home? Are you doing foster care? Did your child come from foster care? All of these children have been alone. Even infants who went through a tumultuous time in utero can feel alone. 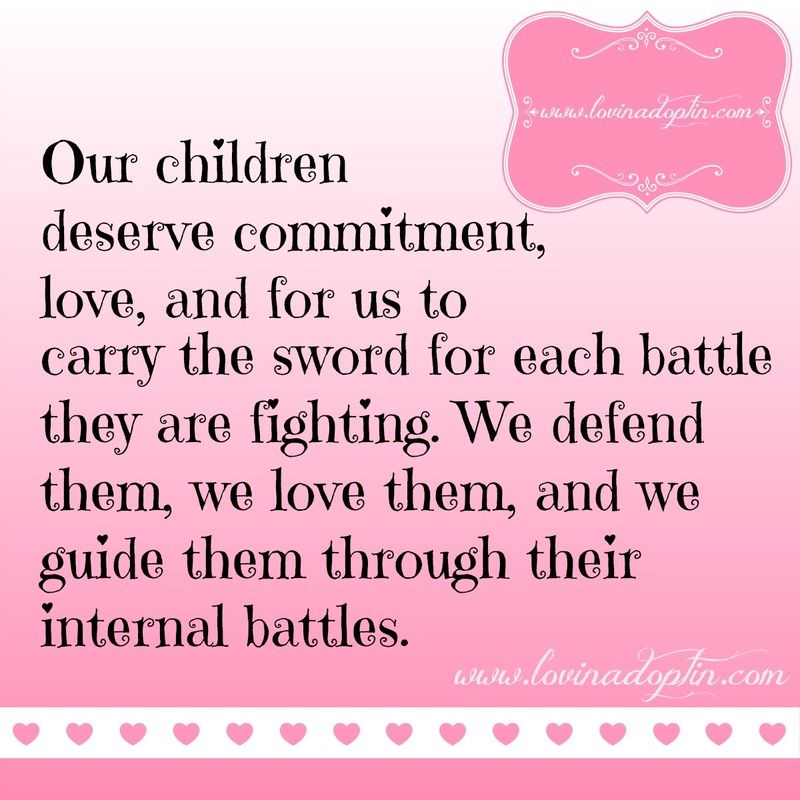 Keeping your child near you will aid in the healing process. 4. A hurting child can’t calm the chaos on their own. A hurting child’s brain is chaotic and they’re used to the chaos. The trauma your child’s been through has created a brain that looks drastically different than the brain of a child who has been raised with loving and nurturing family members. A traumatized child tries to recreate that chaos in their real world because the calm makes them uncomfortable. 5. Time-outs don’t build trust. 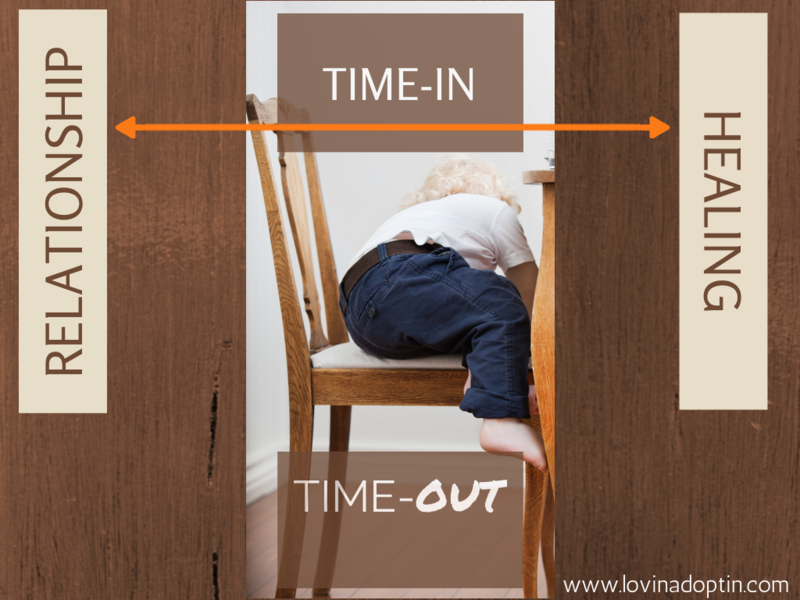 When we send a child to time-out, they don’t know if they can trust us. A hurting child has difficulty trusting caregivers. Why? Because they have been let down by someone, and those first trust bonds were catastrophically broken. When we keep our child close, they learn that we can be trusted and we won’t send them away for negative behavior. 6. Time-outs don’t build relationships. Think about a marriage relationship. If a couple is in disagreement about something, it doesn’t usually help if one partner leaves the situation. Neither does it work if the two don’t talk about the issue. In doing so, the problem may go away for a short time, but will surely resurface again. It’s very similar in your relationship with your kids. Sending them away will not build your relationship, it will put a great big pause button in the middle of it. The Child Trauma website says, “Relationship brings safety, comfort, and soothing.” Relationship is the key element of attachment. 7. The lack of feeling safe makes our kids want to control their environment. Your child’s fears stem from their life prior to meeting you. Those fears don’t leave because they have a new family. As I said earlier, trust has been broken, and it will take a long time for trust to build back up. You will need to provide an environment for the assurance of safety and love to grow. What better way to show them they’re safe than having a time-in for negative behavior? Placing them in time-out only capitalizes on their fears of not being safe, and they will then seek control in any area they can. In the post, Why Consequences and Rewards Don’t Work, I give some other ideas on what to do about discipline. I want to reiterate what I said in that post; consequences and rewards won’t make a big difference in your child’s behavior until they have bonded significantly. Yet, it’s still very important to kindly let your children know they aren’t in charge. If your child feels they can do anything they want, they don’t feel safe; boundaries are essential. You can implement some consequences and rewards, which will set a foundation for the future and begin teaching them how to function in a family. It’s also very important to understand that many times negative behaviors come about because your child is trying to communicate. Look at what your child is trying to say, are they hungry, tired, frustrated, emotional because something else happened, lonely, wanting one on one attention? Do they have sensory issues? Is their body irritated by their clothing, are the lights bright, is the room noisy, is their chaos? There are so many factors to look at, so try journaling behaviors to see when they happen and what transpired before them. We don’t want to simply discipline our children, we want to find out why they’re acting out. The article How DoYou Support People with Difficult of Challenging Behavior gives great ideas on how to look for the “why” behind a persons behavior. Time-ins can be accomplished with the child in your lap or if you must complete a task while the child is in time-in, they can be in close proximity. Some of you may question having the child in your lap as a consequence, but as you read above, our children came from different circumstances, so different techniques are used to help them heal. Being in your lap is not a reward, but does keep relationship in play. 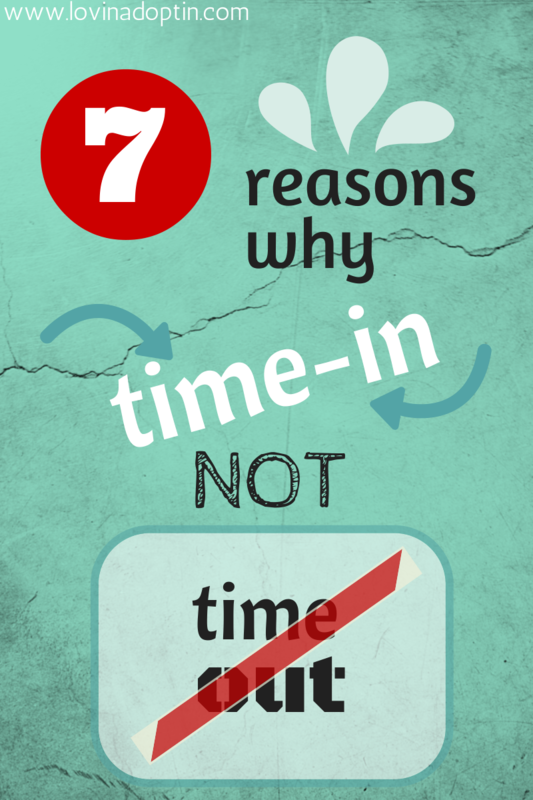 I hope this helped explain why time-ins are better than time-out. If someone in your life repeatedly suggests that you put your child in time-out or that your kids need more discipline, feel free to share this with them, maybe it will help them understand your child. You can receive each post made to Lovin’ Adoptin’ by subscribing in the upper right corner. If you’re on a mobile device, you can do this on a web version. You can also follow me on Facebook, Twitter, and Pinterest for more helpful information and links. 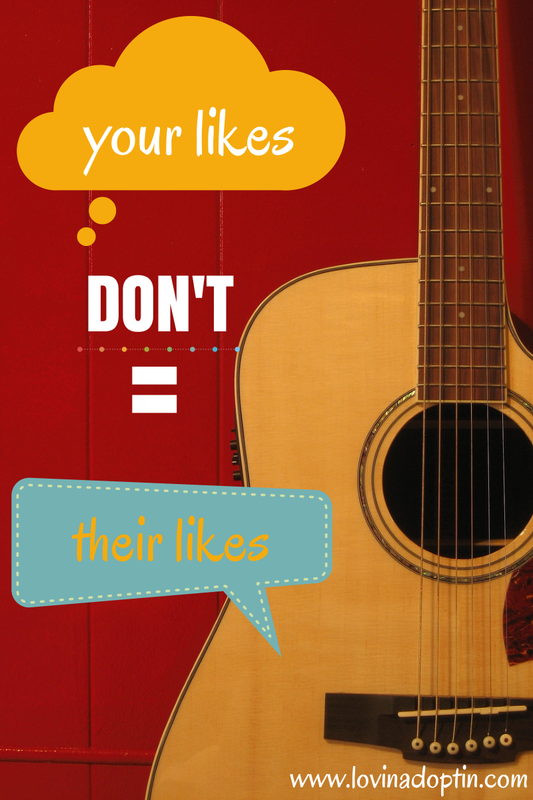 Do you have expectations that your child will have similar likes as you, or they will be interested in the same hobbies? It’s natural for a parent to want their child to have these ideals, yet it doesn’t always work that way does it? When parents have biological kids, they sometimes expect that their child will have the same interests they do. A mom who runs will expect her child to go with her, a dad who likes star-gazing will assume his son will climb mountains and gaze through telescopes. When it comes to adoption, some parents take genetic comparisons out of the picture, but expectations still exist that a child should be interested in the same hobbies as the parent. Parents can also assume that a girl should like Barbies, playing house, and making memory books, and boys should like playing basketball, watching football, and driving remote control cars. Times are changing, but it still happens. we all have our individual preferences for activities and hobbies. We can argue whether this all comes down to nature versus nurture, but I definitely think both play a part, as well as a persons own predispositions based on their opinions. For example, I love writing, but I don’t come from a family of authors, nor did my parents try to instill in me a literary upbringing. I’ve seen immense division enter parent/child relationships when the child doesn’t enjoy the same pursuits as the mother or father. This can happen in biological relationships, but obviously since you’re here, I’m focusing on the adoption and fostering connection. When attachment issues are already in play, even more division happens between child and parent when hobbies aren’t enjoyed together, when free time is wrought with animosity. Parents become bitter because they feel the child is acting against them in not wanting to spend time engaging in their activities. Children become resentful because they feel their interests aren’t important to their mom or dad. We need to appreciate and support our child’s interests. When we accept a persons interests and likes, we are in essence, accepting who they are, and they feel loved. If your daughter likes to mountain bike on a dirt course, take her, and focus on the fact that she is involved in something and it makes her happy. If your son likes to play the piano, give him time to practice, and don’t badger him about not playing baseball. It’s okay to encourage your child to be involved in activities they don’t love, such as the child or teen going on a bike ride with the family even though she doesn’t like to. This teaches the child that the world is not ALL about them, how to be a good friend, and it may expand their interests, (and might get them to MOVE). Yet, there needs to be a give and take, where the parent does something with the child that they may not enjoy. Such as a mother playing catch in the backyard with her son. 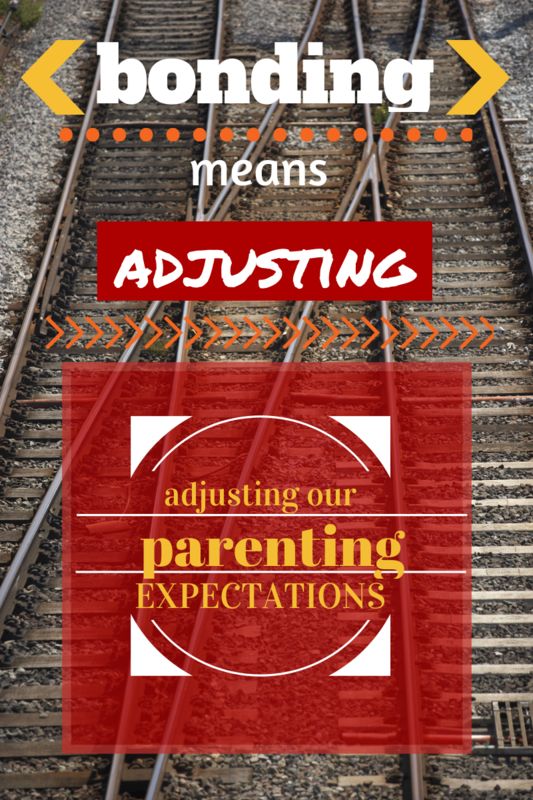 Bonding means adjusting, and we need to adjust our parenting expectations to what is reality, and reality is that we’re all different. Have you held any expectations about what your child’s favored activities and hobbies? What can you do to make your child’s interests more of a priority? My wish is that you would be able to enjoy your time with your kids. You can receive every post made to Lovin’ Adoptin’ by subscribing in the upper right corner. You can also follow Lovin’ Adoptin’ on social media to get more helpful information and links. Please feel free to share this with anyone who might benefit. Because everything in our society is instant, parents think they’re hurting children should be bonded within months of entering their life. They think their child’s negative behaviors, should stop, they should lull off to a sweet slumber, and they should understand consequences and the rules of the house within a short period of time (and a few months is a relatively short amount of time). I think of what happened to hurting children like tearing down a garage. We tore ours down to build a larger one and add a level on top, the deconstruction was quick and not too difficult (for big, strong, burly guys anyway). However, the rebuilding process takes a LONG time, it’s detailed, involved, it’s time consuming, and it’s stressful. For some children, the tearing down process didn’t take long, even infants are greatly affected in a short amount of time by neglect, abuse, and trauma. Children are even affected in utero by what the birth mother does or doesn’t do. Just as a garage demolition doesn’t take long, neither did it take long for our children to be broken down. And, just as the building up process takes a long time when creating a new structure, so does the building up of our children. It takes work, dedication, compassion, and understanding. None of us want to face a battle and know it won’t end tomorrow. I find it helpful to remember what happened to the hurting child, and where they came from. Their trauma affected them beyond what we can see. So, focus on the positives and keep moving forward, you can do this. You can subscribe to receive all posts made on Lovin’ Adoptin’. You can also follow me on social media sites to see more helpful links. A couple named Gary and Lisa Barnes showed up at the horse ranch and decided to adopt Anna. She says of her first adoptive family, “I just couldn’t see them doing this to their real son. I felt very betrayed.” Anna says, “I didn’t get to go home and say bye to my brothers and sisters. I didn’t get to say good-bye to my mom and dad.” Anna shared her thoughts on how she felt about being with the Barnes, she told them repeatedly “I don’t want to be here, I want to go home,” and that her home was in Indiana with John and Jill (her first adoptive parents). Gary and Lisa said Anna had behavior issues they couldn’t handle, so they found her a new home. Anna’s story doesn’t end here, she continued to be abandoned. There’s something we can learn from her heartbreak, and it’s evident when you hear her share what she’s been through. She felt something should have taken place, a major life event – going back to her first adoptive family, and that didn’t happen. She had already lost her birth family, lived in a Russian orphanage (I don’t care what anyone says about them, they aren’t acceptable and many are deplorable), and she was given up by the family (John and Jill) who promised to care for her as their own. She desired one thing, to go back to that family, and she made it particularly clear. I saw this same situation transpire with a girl who was adopted from Africa. Some of you have heard about the unethical adoption practices that can take place in third world countries. It happened to a girl named Zenia*. Her mother, who was living in a poor village, was told by a woman that if she could not provide for her daughter that Zenia could be sent to an American family, and she’d be able to see her daughter again in one year. Zenia was told the same. Zenia was adopted by a wonderful American family who had adopted other older children internationally. Those children were doing very well, but they always seemed perplexed by Zenias continued behavior issues and indignation. After being with the family for one year, Zenia finally shared with them what she had been told. She felt that they weren’t her parents because her mom was waiting for her in Africa. The question here isn’t whether these children’s wishes could be granted or not, because they can’t (or at least it wasn’t likely for Anna, and it wasn’t possible for Zenia) the question is, what can a parent do about it? 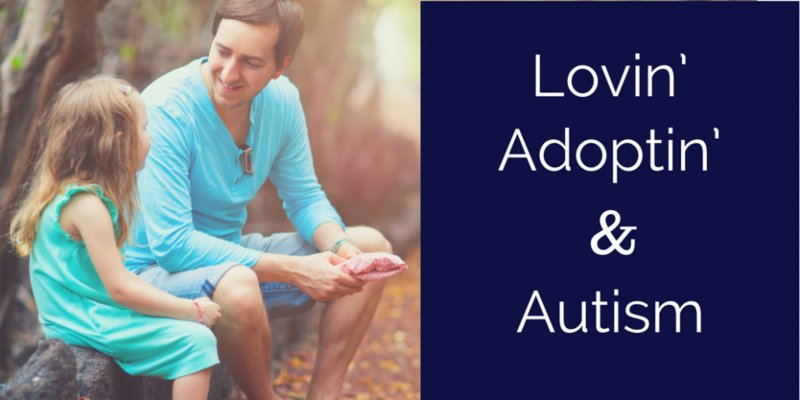 Ask your children questions about their adoption. You will need to use your intuition to determine whether your child is capable of handling information about their pre-adoption experience. I don’t withhold information, but I also don’t give all the details. If a child was older at the time of adoption, it’s probably okay to talk about what happened before they came to you, because they likely remember it. Many times behavior issues in adopted children stem from a lack of true attachment, in the situations above, I would treat it the same as an attachment issue. No matter what their pain stems from, a child always needs to make attachments. If, in the case of Zenia, she wants to return to her birth mother, you could discuss why her mother made the choice she did, being sure to alleviate any guilt the child would have of it being her fault. You can tell her that those who told her she could go back and visit in a year lied to her and that you knew nothing about it. 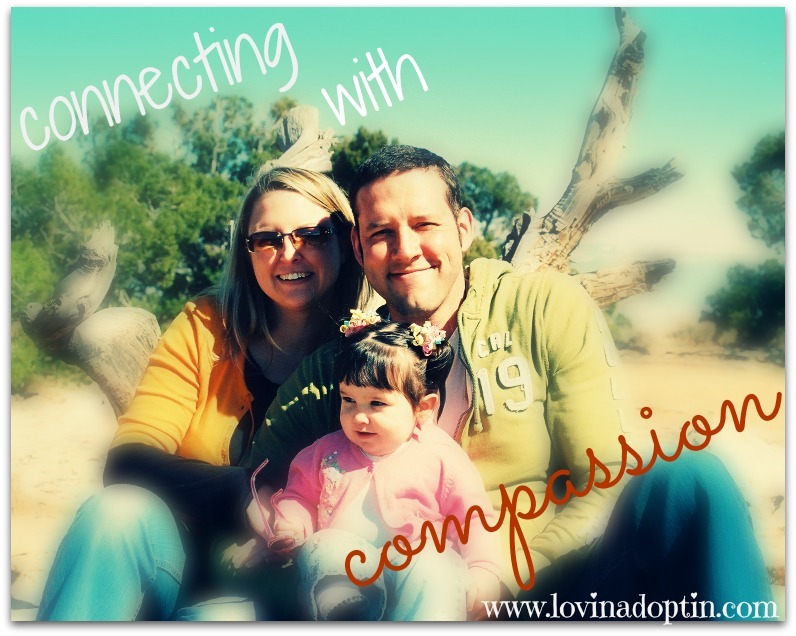 Share what adoption means with her, that in front of a court and judge you promised to be her mother/father forever. If you want to consider making a trip to Africa so she can visit, discuss it with your spouse and be confident it’s really possible before saying anything to your child. Your child may not be struggling with the same situations listed here. Many of our children have similar stories, but some are vastly different. Your child may be holding onto something else, it may be a need for control (this is an element most hurting adopted kids deal with), or they are worried about moving again. These are concerns that are difficult to label, and that is why beginning to open communication is key. Sometimes negative behaviors can be a sign of a child’s anger over what they want or don’t want to take place (as in both cases I mentioned). That’s why it’s good to talk about feelings, because that can get your child to open up and share more of what’s on their mind. Opening up dialogue with your child will help too. Our hurting children are strong, they are strong because life has taught them to stick it out or die. They will use that strong will to get what they want, and if what they want is their birth family or first adoptive family (even if they have perfected a horrible situation in their mind), then it will take explanation and attachment for them to see it differently. They still might yell and scream that you aren’t their “real” family, or they hate you and don’t want you to be their dad, but stick with it. Showing your child continually that you will not abandon them will sink in. Eventually they will see that you aren’t going anywhere. Have you ever found that getting to what’s really bothering your child helped alleviate anger or anxiety? I love comments, so share you thoughts! You can find more articles on my Contents page. To receive all articles written on Lovin’ Adoptin’ you can subscribe in the upper right corner. To receive other helpful links, you can follow me on social media. This article originally appeared in Adoption Today’s June 2013 issue. A few years ago, while my son was still in foster care, a social worker visited our home. During her short stay, my daughter, Payton, sat on my lap, we were singing “Head and Shoulders, Knees and Toes,” and going through the actions. As the Worker watched us, she said, “It’s weird to think, but you’re teaching her to be a mom.” She continued, “It’s sad, but so true. So many children don’t get this.” She was referring to children in neglectful and abusive situations where the parents ignore the needs of their children. This truth is something I have learned and seen repeatedly since we entered the world of foster care. As parents, we are modeling for our children (even our babies) how to be empathetic, compassionate, and loving. Problem being, when children are neglected or abused, they don’t receive this positive attention, nor do they reciprocate. The book Ghosts from the Nursery shares an example of how parent/child interactions affect how humans learn to care for their own children, in a true story about a girl named Monica. As a newborn, Monica was fed through a tube in her stomach. For two years she was fed laying flat on her back without any bodily contact. Later, another tube was inserted in her neck, hence, it limited how Monica could be held and her mother became depressed and withdrawn. At the age of three, Monica was able to eat normally, and she grew up with no conscious memories of her early tube feedings. Yet, Monica mimicked how she had been fed when playing with her dolls. Monica eventually had children, and even though her mother, husband, and sister all instructed her to hold her babies close to her in a face-to-face position, she consistently rejected close body or face-to-face contact with her babies while feeding them. The Worker in our home that day, said, “You’re teaching her to be a mom,” but the bigger truth is that we are teaching our children how to live life. Not much comes naturally to a child who has attachment issues. Every day, every hour, every moment, we need to reprogram what was instilled in their hearts and minds. The little girl who was sitting in my lap singing had been placed in foster care because of neglect and trauma. The Worker making that comment had no idea of the effort it took to get my adopted daughter, Payton, to sit in my lap and sing with me. Payton had come to us so completely broken, with a vacant look in her eyes. When her other foster mother dropped her off with us, she didn’t cry. She awoke the next morning in a strange house, unfamiliar room, different bed, and two odd adults, but she laughed and the joy didn’t reach her eyes. It was on or off, a distant gaze or laughter as a coping mechanism. Payton would fall and hit her head really hard, but no sound would escape her lips. She should have cried. Why didn’t she? Because, as an infant, no one had answered her cries with affection. She’s an intelligent child and she had quickly learned to shut it off. No one comes when I cry, so why put forth the effort? I began running to her whenever she bumped herself or fell, it didn’t matter if I thought it hurt or not. I picked her up, hugged her, and asked if she was okay. Many months later, I was ecstatic when she started following me around the house. Our work was far from done, but she was aware that someone cared about her. The whole trust factor would take years to develop fully, but I remember this moment fondly. I had won a small battle, and I knew we could move forward with hope. One of the important keys to helping a child with attachment issues is to remember where they came from. 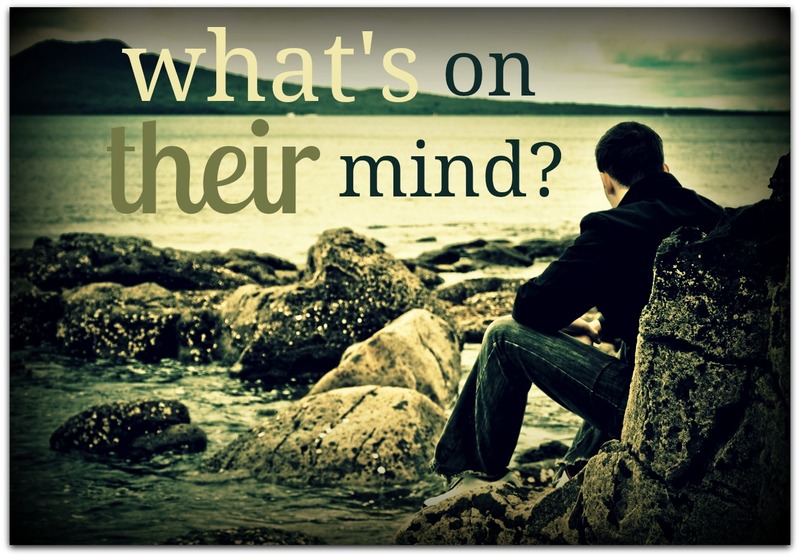 Sometimes it’s painful to recall those memories, but if we forget what their problems stem from, we lose compassion and the drive to help our child. In the Ghost from the Nursery story I shared, Monica wasn’t held close when she was an infant, her mother then fell into a deep depression, therefore affecting Monica for the rest of her life. Her mother didn’t know how to compensate for the absent affection. What our children experience will impact them and their attitude toward life. Think about your child. You may not know all the details of their life prior to meeting them, but you can imagine what it was like. Did your daughter spend several months in an orphanage? What was the institution like? There isn’t an orphanage with enough staff to care for the needs of an infant or child who has been abandoned. Was your son left to fend for himself on the streets in another country? Was your daughter orphaned by AIDS, and made to seek food and shelter on her own? In Monica’s case, a situation as simple as a depressed parent, who no longer has the ability to properly care for their child, can cause a child to have attachment issues. Be mindful of the trauma your child may have experienced, and how much it will take to heal their hearts. All the work you put in will pay off, there is hope at the end of the long road. Our daughter is a testament that your child can form the bond you desire.